If you want an efficient, productive telecom system, ideally you need to evaluate your needs and develop the best strategies to meet those needs using the most efficient and enabling technology. Contact us online to discuss strategic telecom solutions that will save you money or call 888- 692-5111. The specialists who design your system must understand your needs and understand the most efficient and cost-effective way to meet them. Most corporate information systems were not designed to perform all the tasks for which they are responsible today. Growth, acquisition or relocation plus the inherent problems of speed and reliability have forced many organizations to re-examine their networks. The information network is an ever-evolving system designed to serve the information storage and delivery needs of the organization. 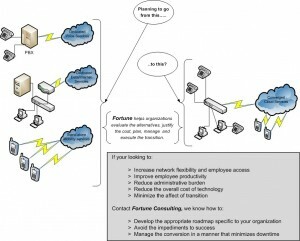 Fortune Consulting specializes in communication network design, expansion and relocation. A regular network performance evaluation, including an annual telecom audit of the information system’s strategic plans, is important to assure that system functionality will meet the future business needs of the organization. Fortune Consulting creates the evaluation criteria, then assesses growth history and future plans. We then conduct a “live” usage review to ascertain how the entity retrieves and uses information. Telecom audits conducted by our consultants have saved significant labor costs and resulted in the institution of new methods that optimize the network. 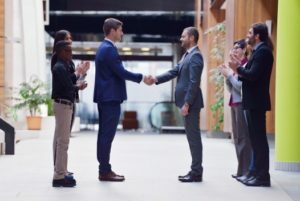 In some cases Fortune Consulting helped eliminate the need for system replacement, which can easily mean the difference between a quarterly profit or loss for many organizations.